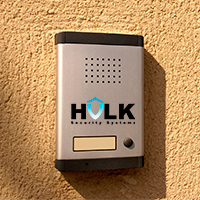 At Hulk Security Systems, we offer our clients a comprehensive array of security solutions, from locksmith, to CCTV, to alarm systems, and more. Our solutions are scalable for home and business and we offer 24/7 support. Our service range covers Manhattan, Brooklyn, Queens, Bronx, and Staten Island. For maximum protection of your home, loved ones, and property, Hulk Security Systems covers every detail of your security matrix. With a record of satisfied customers dating back to our founding in 2009, we at Hulk Security pride ourselves on complete security. From the most elaborate of installations, to the simplest locksmith work, a culture of security experience is integral to every part of our operations. Bottom-to-top, from the locksmith in the field to our executive levels, we bring lifetime expertise to your security concerns. Security is important. It is more than good locks and high walls. Access control, tracking, physical robustness, barriers, communications, alerts - all of these things work together to provide a security mesh for your home or business. At Hulk Security Systems, we understand each dimension of a security program, how they overlap, and how one element can work with others to overcome the inherent limitations of each, so that no gap in security exists for interlopers to exploit. We can deploy not on individual security solutions, but total sets of protocols to keep you safe and keep threats away. Intruders look for easy targets and, although one of your first lines of defense is appearance, it is crucial to have the hardware and services on-site to make sure to any daring persons are more than deterred. You want to make sure they are stopped cold before they ever get to your door, and that is what we do best. For your total site security, with access to all of the most modern solutions, and deployment based on years of combined experience in real-world situations, your security vulnerabilities demand the expert attention of Hulk Security Systems. We possess the knowledge, experience, and equipment to make certain you will not become a victim of unwanted incursions into your critical sites.